Ballantyne Jewelers requires all visitors to this site to agree to these terms and conditions. If you do not agree, you should not use this site. By accessing the site you indicate your acknowledgment and acceptance of these terms and conditions. Restrictions on the use of the text, images, graphics, sound files, animation, video and/or their arrangement on Ballantyne Jewelers Website are all subject to intellectual property right protection and such material from www.ballantynejewelers.com and any other world wide web site owned, operated, licensed or controlled by Ballantyne Jewelers or any of its related, affiliated or subsidiary companies (collectively Ballantyne Jewelers may not be copied, distributed, republished, uploaded, posted or transmitted in any way without the prior written consent of Ballantyne Jewelers. Modification or use of the materials for any other purpose violates Ballantyne Jewelers intellectual property rights. Neither title nor intellectual property rights are transferred to you by access to this site, but remain with Ballantyne Jewelers, who owns full and complete title to the material in this site. All remarks, suggestions, ideas, graphics, or other information communicated to Ballantyne Jewelers through this site (collectively the "Submission") will forever be the property of Ballantyne Jewelers. Ballantyne Jewelers will not be required to treat any Submission as confidential, will not be liable for any ideas for its business (including without limitation, product or advertising ideas) and will not incur any liability as a result of any similarities that may appear in future Ballantyne Jewelers operations. Without limitation, Ballantyne Jewelers will have the exclusive ownership of all present and future existing rights to the Submission of every kind and nature everywhere. Ballantyne Jewelers will be entitled to use the Submission for any commercial or other purposes whatsoever without compensation to you or other persons sending a Submission. By access to this site you acknowledge that you are responsible for whatever material you submit, and you, not Ballantyne Jewelers have full responsibility for the message, including its legality, reliability, appropriateness, originality and copyright. Ballantyne Jewelers does not warrant or make any representation regarding the use of the materials contained in this site in terms of correctness, accuracy, reliability or otherwise. The material in this site may include technical inaccuracies or typographical errors and Ballantyne Jewelers may make changes or improvements at any time. The information contained in this site is provided "as is" and without warranty of any kind, expressed or implied, including, but not limited to, all warranties of merchantability and fitness for a particular purpose. Ballantyne Jewelers does not warrant that the functions contained in the material will be uninterrupted or error free, that defects will be corrected, or that this site or the server that makes it available are free of viruses or other harmful components. Ballantyne Jewelers does not warrant or make any representations regarding the use of or the result of the use of the material in this site in terms of their correctness, accuracy, reliability, or otherwise. 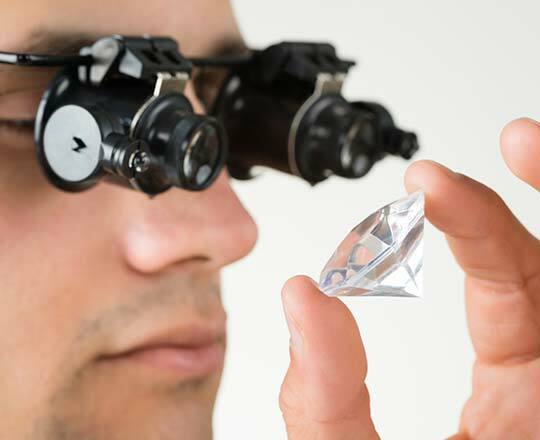 You (and not Ballantyne Jewelers) assume the entire cost of all necessary servicing, repair or correction. Accordingly, by using this information you agree that Ballantyne Jewelers (including its agents, officers, directors and employees) are not liable for damages of any kind. These terms and conditions will be governed and interpreted pursuant to the laws of the State, inside the United States of America, notwithstanding any principles of conflict of laws. This is the entire agreement between the parties relating to the use of this site. Ballantyne Jewelerss can revise these terms and conditions at any time by updating this posting. 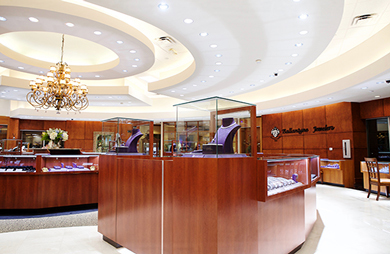 Ballantyne Jewelers products and services are available in many parts of the United States. However, Ballantyne Jewelers site may describe products and services that are not available nationally. This site may be linked to other sites, which are not maintained by Ballantyne Jewelers. Ballantyne Jewelers is not responsible for the content of those sites. All trademarks are the property of their respective trademark owners. There may be occasions when Ballantyne Jewelers obtains personally identifiable information to provide the visitor with correspondence or otherwise. However, Ballantyne Jewelers only gathers personally identifiable information, such as names, addresses, e-mail addresses, etc., when a visitor voluntarily submits the same. Such personally identifiable information, which may be gathered in connection with Ballantyne Jewelers on-line visitors, is used solely by Ballantyne Jewelers and is not sold, transferred or otherwise disseminated to third parties outside Ballantyne Jewelers. Ballantyne Jewelers strongly encourages all parents to supervise their children's on-line activities and regularly monitor their children's use of the Internet. Parents should consider using parental control tools and other services to assist them in supervising their children's on-line use or on- line disclosure of their name, address or other personal information without parental consent. Ballantyne Jewelers reserves the right to change this policy at any time. Please check this page periodically for changes. Ballantyne Jewelers all Rights reserved.